Our Diffusers and/or oil warmers are either electric oil warmers with switch control, touch-on or plug-in versions. 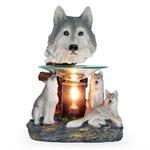 Or candle oil warmers. 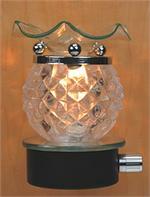 These unique fragrance oil lamps are designed to fill the area with a refreshing aromatic scent. when used with fragrance oil or wax melts.. These Candle Warmers are used with Tealight Candles. 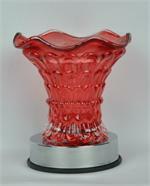 A selection of Electric Oil Warmer that is suitable for any decor. A touch to the base will put the Oil Warmers on and off. 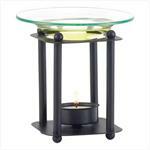 Electric Oil Warmers with switch to control the intensity of the heat.